Mondo Cellars—an elegant surprise located in the heart of Paso Robles Wine country.High above the valley in the hills on the west side of Paso Robles, Mondo Cellars offers breathtaking 360° views of the local wine growing region, with the convenience of being just five miles from hotels, shopping and dining in downtown Paso Robles. Mondo Cellars offers a truly unique location for hosting events, combining our intimate Villa nel Mondo bed & breakfast, on-site winery, and outdoor event areas, set amongst our 80 acres of rolling hills. It's a little bit of Tuscany right here in California ! The winemaker residence includes the Villa nel Mondo, our luxury three room bed and breakfast and has both indoor and outdoor dining and entertaining areas, including our beautiful covered patio with forever views of the Paso Robles county side. The barrel room is ideal for that perfect winery ambience. Our Mondo Cellars wines are elegant, yet approachable, much like our facilities and staff. Taste the passion in our big Bordeaux and Rhone blends.Amenities include over 3000 sq ft. under roof with several available configurations, very nicely appointed ADA compliant restrooms, indoor bar configuration and close proximity to the Tuscan Lawn and its related amenities.Read more about the "Mondo Cellars Winery" and our wines. This top of the world location has forever views. Amenities include over 6000 sq. ft. of grass area, several raised areas/stages, very nicely appointed ADA compliant restrooms, an area for a large BBQ/smoker trailer, catering area, electrical and water in several locations and parking for 75 cars. The Mondo Cellars property has over 80 acres with many locations for that rustic “in the county” event.Book your event today ! "Contact us" for more information about any of these venues. Our commitment to your special day : The management and staff of Mondo Cellars are committed to delivering the most memorable experience possible. We look forward to being one of your valued team members in creating a unique and perfect wedding experience. Our property features many locations to suit your needs. Focus, Relax, Connect. 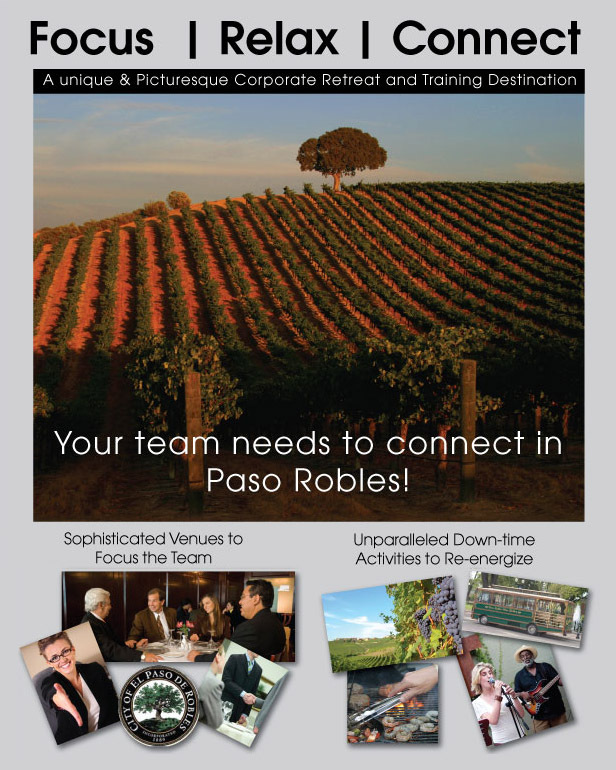 Host your next corporate event in beautiful Paso Robles Wine County. Paso Robles wine country is known for weekend wine tasting and picturesque weddings, located directly between Los Angles and San Francisco in the Central Coast of California it also serves as an inspiring place for corporate events, meetings and retreat. Mondo Cellars Winery is fully equipped for corporate events and serves the corporate world and the weekend wine taster alike. We provide a comfortable yet sophisticated atmosphere, beautiful meeting facilities, state-of-the-art audio/visual equipment, and delicious catered cuisine, all within the beauty and charm of the wine country. 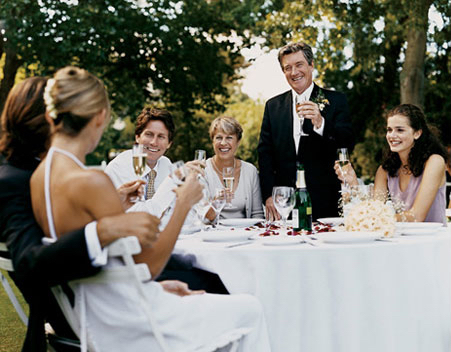 Planning an intimate dinner among friends, an elegant anniversary or a classy birthday party ? Mondo Cellars is the ticket. Ask about our "Hybrid Events" every Friday night from May to October. With our Friday Night Hybrid Events we provide the live music, catered appetizers, a private room and our amazing winery venue at no cost...you provide the people. Sounds Interesting ? "Contact us" today. We are family-owned and operated and guarantee your visit to our picturesque winery will be personal, entertaining and memorable. Our experienced and friendly staff can coordinate with you to ensure a successful event. For available dates, additional information or to schedule a personal tour, phone us at (805) 226.2925 or send an email to our "Event Planning Team." At Mondo Cellars, we like to keep things in the family. To host an event here, the host must be a member of the "Mondo Mob Wine Club." Joining the Mob is easy, and you'll get two shipments of five bottles of wine per year for only $99 per shipment. "Learn more" about joining and other benefits of membership.